The Penobscot Narrows Bridge in February 2012. 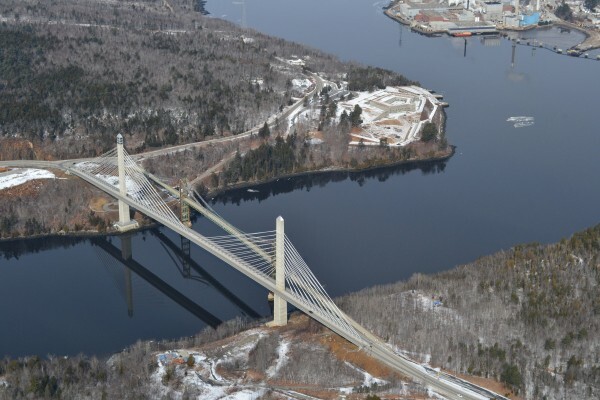 VERONA ISLAND, Maine — Reports of large chunks of ice falling off the cables of the Penobscot Narrows Bridge and damaging vehicles have compelled police to close the bridge until at least Monday morning. The MDOT has been on the scene since about 10:30 Sunday morning, assessing the situation hour by hour to determine when they will reopen the bridge, Talbot said. They will reassess at dawn on Monday to determine if the bridge should stay closed longer. “Sheets of ice are coming from top tiers and from the cables,” Talbot said. He also indicated that between five and six cars had been damaged as a result of the falling ice, with one car having major damage. No injuries have been reported as a result of the falling ice. The bridge carries Routes 1 and 3 from Verona Island to Prospect. MDOT is asking motorists to find alternate routes until the ice is cleared.